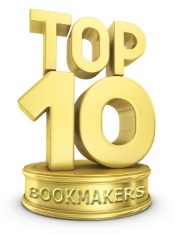 Lately, the bookmakers from all over the world have included in their offer snooker tournaments. During these tournaments, the passionate bettors can bet whether on the winner of a game, or on the score’s difference between the two players. More than that, the bookmaking can choose to invest in a ticket which bets on which will be the 4 or 2 semifinalists. So, the gamebookers have diversified the offer for the snooker matches. Now, their clients can choose to bet on the player who will win at biggest « break » tournament. The odds for thiskind of bet can arrive to 20, in case of a big tournament and if you go for a player that is not between the favorites. Your profit can be high when it comes to surprises. The odds for those cases are over 2 and the winning shot is not excluded from the beggining, because of the fact that it happens very often that a player that isn’t so famous wins the disputes with the more experienced ones. Since snooker is an individual sport, which requires focusing and having a great power of concentrating, if you want to bet, you have to take into account some basing things. First of all we have to be informed about the player’s shape. If a player has won a lot of matches in a row or he comes after a won tournament, he will probably have a good state of mind and win. An also major factor for winning bet is the ambition that a player who had previously lost in front of another has. He can try really hard and be more prepared than the one that takes the victori for granted. You should know that in snooker, age is a very important factor. As the years pass the players lose their ability to focuse or have the same precision as they had when they were younger.